The Dumas method, also known as combustion method, is considered as an alternative to the classical Kjeldahl method. In fact, both of the methods are validated by different international organizations: Kjeldahl is officially recognized by AOAC, EPA, DIN, ISO, etc., whilst Dumas by AOAC, AACC, ISO, DIN, ASBC, AOCS, OIV, etc. However, in some countries the local guidelines recommend one method rather than the other. This is the reason why many decision makers and users are undecided between the two methods and between following the local guidelines or the International Standards. The original method was developed by Jean-Baptiste Dumas during his studies in 1831, even before the Kjeldahl analysis. Dumas nitrogen determination is particularly suggested when high productivity, measuring the total nitrogen content (organic + inorganic). 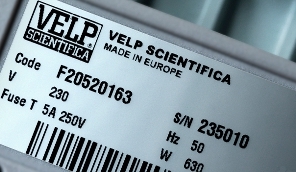 VELP Scientifica has developed a powerful Dumas Protein/Nitrogen Analyzer, able to perform precise nitrogen analysis and protein determination in a flash. It is the best solution for high productivity and offers unique benefits, being totally unsupervised.